Your job is to be on the road with your equipment, meeting the needs of your customers. Our job is to make sure you’re outfitted with the highest quality after-market products for your van. 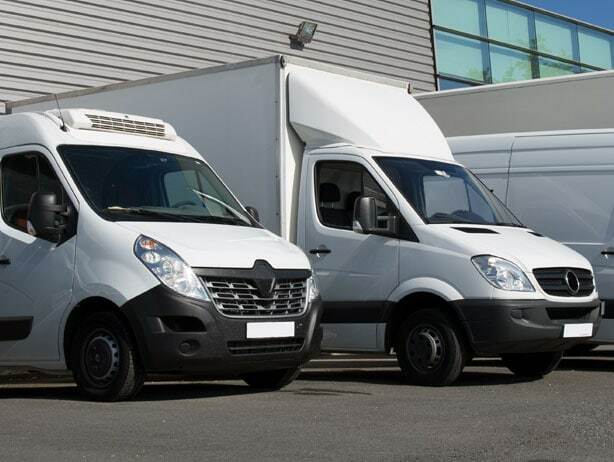 Whether you have one van or an entire fleet, if you are looking for commercial van upfitters, Precision Installations has the ability to install and service a variety of products and equipment. We’ll help you plan your commercial van layout to maximize efficiency, so you can get at the tools and equipment you need when you need them. We’ll outfit you with van racking, durable shelving and cabinet units, as well as workbenches, drawers and storage. Our ladder racks for vans are suitable for ladders, lumber and other cargo. We’ll even help you accessorize your van. Ask us about step stools, floor mats and more. We stand out among commercial van upfitters for our many years of experience in installing audio, visual and lighting packages on a variety of municipal, work and utility vehicles. We can outfit your commercial van with radio communication equipment, GPS systems, interior lighting for your workspace, and exterior emergency or security lighting. If you have an idea or a specific need for outfitting your commercial van, just ask us. We have the knowledge and expertise to get you on the road with exactly what you need to effectively service your clients. No matter what your industry or the number of vans you have in fleet, we have the capability to get your commercial van ready for work. If you are upfitting a new van or need to upgrade your current one, contact us or give us a call at (920) 380-1360. "We own an electrical services company and are so thankful to have heard of Precision Installations! They outfitted our fleet of 8 vans in a short amount of time and to our exact specifications. " ©2017 Precision Installations Inc. | Precision Wire Harnesses, Inc.